Eleven local authorities across England are taking part in Voter ID pilots for the 2019 local elections. The pilots will provide further insight into how best to ensure the security of the voting process and reduce the risk of voter fraud. The Governance, Audit and Standards Committee agreed for Broxtowe to volunteer in the pilot at its meeting on 24th September 2018. At Full Council on 19th December 2018, the Council agreed for Broxtowe Borough Council to participate in the Mixed Model Pilot. This pilot does not affect those voting by Post. 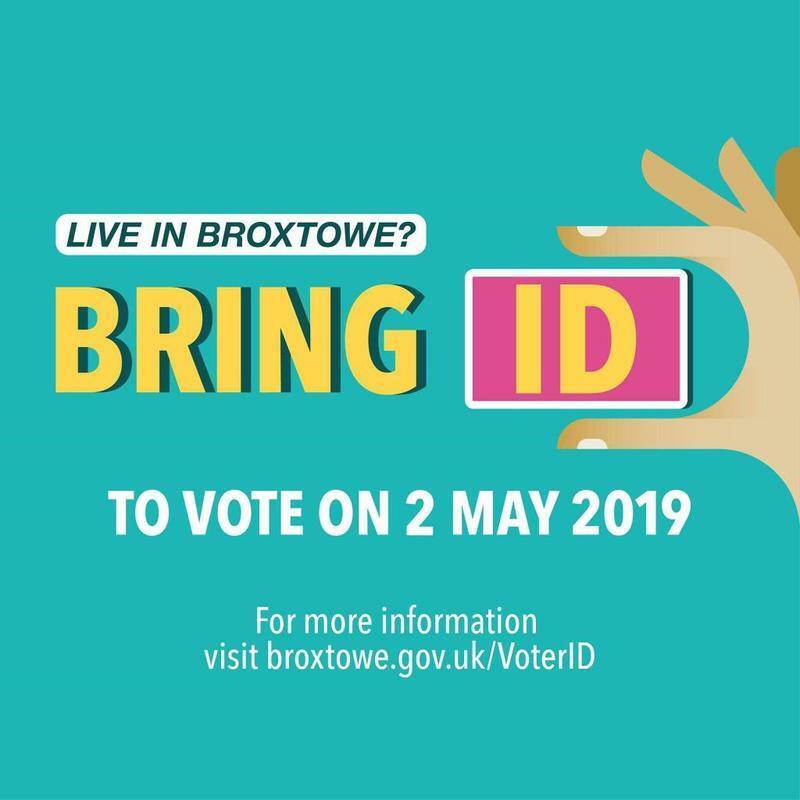 In the May 2019 elections, voters in Broxtowe will be required to present either one form of photo ID like a passport or driving licence, or two forms of non-photo ID like a poll card, bank card, council tax bill or a bank statement. The list of acceptable ID is currently being reviewed by the Cabinet Office. The final list will be published on this page in the coming months. Details will also be on the back of poll cards which will be sent out around 26 March. If you are a registered elector and do not have one of the accepted forms of ID, you will be able to get a “Certificate of Identity” from us free of charge, which will be accepted at polling stations and enable you to vote. Our Elections Team are on hand if you have any concerns or queries regarding the Voter ID pilot or the elections generally. It’s worth pointing out that doesn’t affect you if you have a postal vote. Thank you for bringing this to everyone’s attention. I personally would find it very frustrating to arrive at the polling station on May 2nd just to find I’d have to return home to fetch ID. And what about the people who may have difficulty in providing the necessary ID? Not everyone has a driving licence or passport they can easily lay their hands on. One sensible way to proceed would be for everyone to apply for a postal vote, then there’s no need for ID. Surely there are far more important things to be concerned about? Val. Broxtowe is part of a Government trial. I voted against. However, we are where we are. I went to a briefing 2 weeks ago and I am more confident now. I agree though. It is a minor issue. Steve. I agree but the system in place now is very time consuming and vigorous.